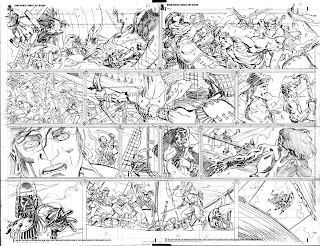 So, now that Conan: Road of Kings #1 is officially "out" I can share some of the pencils with you fine folks! 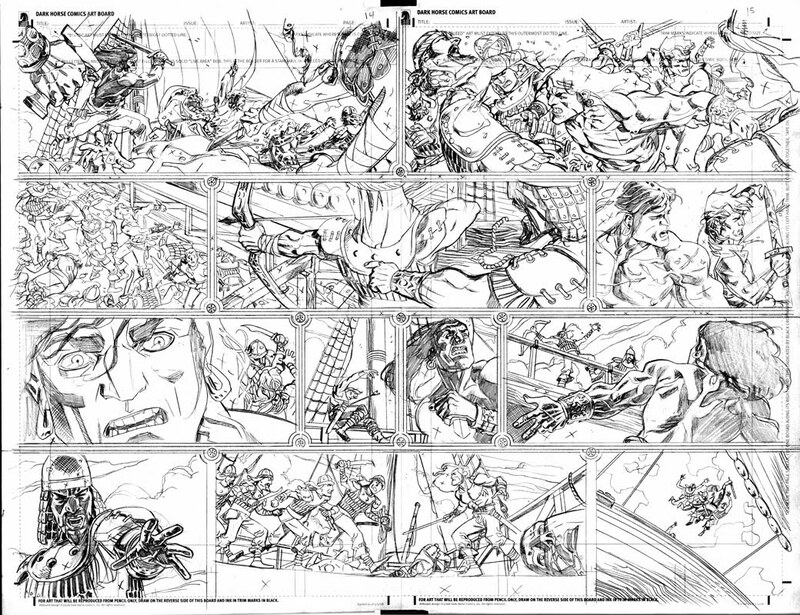 This was a spread from the issue that I had a great time drawing. Seriously, I'd draw then take a break to dance with joy then go back to drawing. Repeat that for a day and that was pretty much the process. Anyway, I'll post more tomorra'! This is fantastic. I really like the gutter work. Can't wait to see more. Pencils have always been my favorite part of comic art. Take care and happy holidays to you and your family. Thanks for sharing. Thank you, my good man! I enjoy the pencils too, and love to share this stuff with folks who appreciate it.